( Cyrex prices are quoted in USD as Cyrex is a US lab. You will be invoiced based on the current exchange rate upon booking). This is an Intestinal Antigenic Permeability Screen™ (Leaky Gut). What it measures: Actomyosin IgG, Occludin/Zonulin IgG, Occludin/Zonulin IgA, Occludin/Zonulin IgM, Lipopolysaccharides (LPS) IgG, Lipopolysaccharides (LPS) IgA, Lipopolysaccharides (LPS) IgM. Intestinal permeability can cause systemic inflammation, which can then sustain itself by its ongoing effect on the gut. This array assesses gut barrier damage by measuring antibodies to barrier proteins. It can therefore detect barrier damage long before there is dysregulation in absorptive function. Would you like to find out what foods are contributing to your symptoms and making you feel ill? It is well known that what you eat has a huge influence on your health and wellbeing, however, your diet can also have a negative effect on your health, particularly if you are one of the estimated 45% of people who suffer from food intolerance. 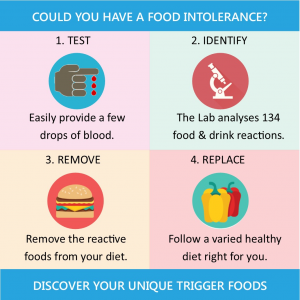 Food intolerance is a condition with a range of symptoms including gut symptoms, bloating, IBS, headaches, migraines, low mood, joint pain, fatigue, weight gain and skin problems. These symptoms must always be checked out by a Medical Professional. 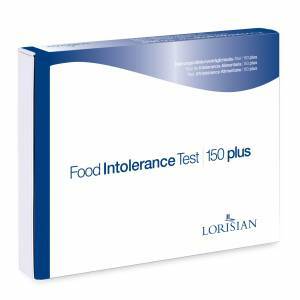 The company that I use for food intolerance testing is Lorisian Laboratories. This is done via a finger prick to access a drop of blood. There are 6 comprehensive tests one can choose depending on the one’s need – 100 foods, 150 foods, 200foods, Modern Living, Asian Diet and Nordic Diet. (Analyses your IgG antibody reactions to over 160 Nordic food and drink ingredients. This test looks at 134 foods and drinks. Brunel Health IgG antibodies – £220. Another company that I use for food intolerance testing is Cyrex Laboratories. Cyrex™ is a Clinical Immunology Laboratory Specializing in Functional Immunology and Autoimmunity. Cyrex™ offers multi-tissue antibody testing. 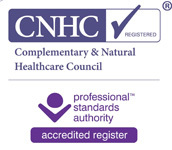 Their food intolerance testing is ‘gold standard’ due to its double testing methods, testing each food or food substance twice. If there are any inconsistent results seen, they are retested until a correlation is seen. Both IgG and IgA antibodies are tested for, reducing the possibility of missing immune reactivity. Several other food substances such as food colourings, meat glues and gums are tested. CYREX Array 10 – $626. ( Cyrex prices are quoted in USD as Cyrex is a US lab. You will be invoiced based on the current exchange rate upon booking). CYREX Array 10-90 – $385 ( Cyrex prices are quoted in USD as Cyrex is a US lab. You will be invoiced based on the current exchange rate upon booking). Please note there may be extra phlebotomy fee added. Multiple Food Immune Reactivity Screen. DAIRY and EGGS, Modified, GRAINS, Raw and Modified, Beans + Modified, NUTS and SEEDS, Raw and Modified, VEGETABLES, Raw and Modified, FRUIT, Raw and Modified, FISH and SEAFOOD, Raw and Modified, MEAT, Modified, HERBS, Raw, SPICES, Raw, GUMS, BREWED BEVERAGES and ADDITIVES. Wheat/Gluten Proteome Reactivity & Autoimmunity™ Antigens Tested (IgG and IgA tested separately for each antigen). CYREX Array 3X – $319 ( Cyrex prices are quoted in USD as Cyrex is a US lab. You will be invoiced based on the current exchange rate upon booking). The ONE FMV is a unique combination of nutritional tests that provides an analysis of key nutritional biomarkers in one convenient urine collection. It is a convenient patient-friendly way to assess the functional need for antioxidants, B-vitamins, minerals, digestive support, and amino acids. Studies suggest that even a balanced diet may not provide all essential nutrients. The ONE FMV is designed to assist in the identification and management of nutritional deficiencies that may be the root cause of complex chronic conditions. Common clinical indications for testing include: Mood Disorders, Fatigue, Digestive Complaints, Weight Issues/Dietary Guidance, General Health and Sports Fitness Optimization. 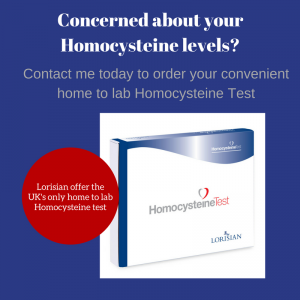 I have been using this test in conjunction with GI Effect Stool Test. Get more informations on ONE FMV test in here.